American Red Cross Connecticut Chapter will provide 1,000 residents of New Haven’s Bella Vista Apartments with fire safety information and Red Cross emergency preparedness presentations. In partnership with New Haven’s Fire Department, they will do a door-to-door canvasing of 1,400 Bella Vista units to talk to them about fire safety and leave behind a door hanger with fire safety tips. They will receive a “Go” kit that includes forms to record important contact information and list current medications. It will also contain a first aid kit and guide, light stick, emergency blanket and poncho, mask, whistle, hand warmers, bag of water and a list of personal items to include. The kit will be hung on the back of their exit door to “grab and go” in the event of an emergency. In August 2013, a fire raged through the Bella Vista apartments and hundreds of seniors were forced out of their apartments on a moment’s notice. In the urgency of the evacuation, many left behind critical medications and couldn’t recall the names of their medications including dosage and strength. The residents were in a daze after the disaster, not knowing what to do or whom to call. If these seniors had the information and equipment needed, Red Cross and the City of New Haven Elderly Services personnel would have been better able serve them. Christian Community Action of New Haven will launch a furniture moving company called Faith Movers. CCA will improve its Furniture Pickup Program – through which people donate items for use in the Hillside Family Shelter or Stepping Stone Transitional Housing Program or by families moving into permanent housing – and generate additional revenue in an area that it currently has competence. A business plan and financial projections have been prepared, and they will now develop a marketing and operational plan. This program will establish a new and dependable revenue source to continue ongoing and vital social service programs. Once operational, Faith Movers will be self-supporting and profitable. It will create employment and training opportunities for recipients of services, as moving specialists, to pick up, transport, and unload furniture, personal goods, and appliances at affordable rates emphasizing quality service and careful handling. Annually, CCA receives 200 requests to pick up furniture and financial contributions from over 500 individuals. They have determined there is a steady and ongoing need for moving and delivery services that this program can penetrate, as well as provide CCA with a sustainable source of income for their operating budget. 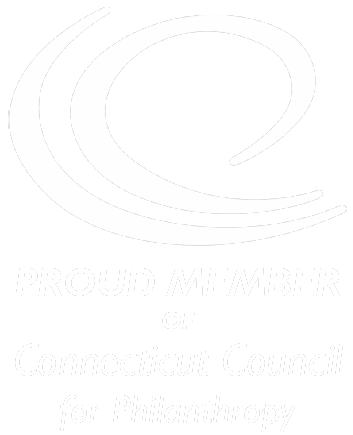 Connecticut Humanities will pilot a new program to connect the professional writing community of Connecticut to young audiences with limited access to such creative work elsewhere. This will be a collaborative publication project, bringing together published Connecticut authors, illustrators, school children, communities, libraries and heritage organizations. Based on the Victorian parlor game, The Exquisite Corpse, authors will collectively assemble a suspenseful children’s story chapter by chapter. Each installment will be written and illustrated by a different author/artist, putting their own unique spin on the story. The story will be released on the web as a serialized electronic book and audio. Every two weeks, readers will have access to a new suspenseful chapter. After completion, the story will remain online for continued access. Children and teachers will be encouraged to follow the journey through developed curriculum guides, workshops, “behind the scenes” events and online resources. Hands on Hartford will purchase a produce cooler to ensure fresher produce. Its Community Pantry is set up as a mini-supermarket complete with shopping carts, where people browse the shelves and choose their own groceries. A cooler will keep produce fresh and display it in an appealing, prominent manner. Currently, clients choose produce from original shipment boxes and without refrigerator space; produce wilts quickly and looks unappetizing. Clients do not select produce that does not look fresh, so it goes bad and then must be discarded. The cooler will prevent this waste. Hands on Hartford will also purchase a portable kitchen island, electric skillets, burners, small microwave and other supplies for a teaching station to do cooking demonstrations and taste tests. This will introduce clients to unfamiliar fruits and vegetables and teach quick and simple preparation. This is an opportunity to help people change their diets by providing attractive foods and teaching them to make those foods taste good. Hockanum Valley Community Council of Vernon, will implement a plan for a new and innovative counseling therapy program called Eye Movement Desensitization and Reprocessing (EMDR), a comprehensive, integrative psychotherapy approach originally designed to alleviate the distress associated with traumatic memories. Using the detailed protocols and procedures learned in EMDR training sessions, clinicians will help clients activate their natural healing processes. Types of people that benefit are the military, first responders, victims of abuse, the impoverished, suicidal individuals, people who have suffered great loss, sudden tragedy victims, long standing trauma, loss of jobs, home, family, long term incarcerated people, anyone who has lost their ability to cope with today’s environment. HVCC will send 4 licensed clinicians for training to certify them in EMDR. The program will allow HVCC to treat a new group of clients as well as existing clients with a shorter more effective therapy for Post-Traumatic Stress Dysfunction. KNOX of Hartford will enhance the organization’s technological capabilities. The organization plants 1,000 trees each year, collaborating with Hartford’s City Forester. They will acquire a new computer mapping system which will help them develop a street tree inventory with the city’s forestry division and Department of Public Works. It will also help them build their capacity to manage Hartford’s urban forest for years to come. Each year, KNOX empowers 2,000 volunteers to care for Hartford’s public green spaces. Keeping track of volunteers requires a reliable database program. KNOX’s workforce development program gives a second chance and a career path to at-risk youth ages 18 – 30. This past fall, the program expanded to open an official Green Crew AmeriCorps headquarters in the North End of Hartford. Managing two locations means a new computer server is needed to keep the two offices connected and computers working up-to-speed. Additional grant funds will go toward a new computer server. New Haven Land Trust will create an “Urban Agriculture Resource Center” in New Haven. The Center will be a “one stop shop” where community members, organizations and entrepreneurs will have easy access to the information, expertise and resources they need to garden and produce food at any scale within the city of New Haven. This includes basic information on building and maintaining a backyard garden or community garden, educational materials and best management practices regarding lead contamination in soils, a library of resources on gardening and food production, a tool sharing program, volunteer coordination, opportunities to jointly purchase materials such as topsoil and seeds at lower cost, information about garden education workshops occurring around the city, advice on how to gain city support for a new food production venture, guidance on navigating municipal and state permitting and compliance requirements, and information on sources of support for their endeavor. The Land Trust will hire a part-time director for the first growing season, develop the program, and purchase limited materials and literature. They will develop a fee-based set of services to generate income the center needs to provide other free services to the community. New Haven Reads will invest in a comprehensive database scheduling tool. The current scheduling is paper-based and varies across three sites. Site schedules match students and tutors for one-on-one tutoring program. With this scheduling tool, they can track student attendance and dismissal, pre-k and kindergarten programs, SAT programs, clubs, and volunteers. Every child at every hour at every site in every program year-round will benefit from this grant, because site staff will be more mobile and have more time to engage with students, parents, and volunteers every day. The paper schedule with scribbled notes and post-its will disappear and site staff will make real time adjustments to the schedule and not have to remember to note down the changes from week to week. The scheduling tool will save time by tracking attendance, spotting poor attendance, and allowing staff to make notes against a child’s secure, online file. Student registration will be streamlined with increased accuracy as the registered child can be put into the schedule right away because the tool will be current and staff will have fewer steps to go through to register a child in the program. P.L.A.C.E. Multicultural Museum of Hamden will establish P.L.A.C.E. on the Go!, the first mobile art and film studio in Connecticut. Housed in a renovated school bus, P.L.A.C.E. on the Go! will travel to schools, libraries, festivals, and other events throughout Greater New Haven to provide multicultural arts programs led by experienced instructors. The P.L.A.C.E. on the Go! bus will house a mobile art gallery showcasing kids’ video or art work as well as original works of art created by artists from the featured culture. It will also include an experiential learning station where youth explore the subject matter of a particular exhibit using “beyond the textbook” content such as filmmaking, music, iPad applications, storytelling, and other interactive activities. Children visiting the mobile studio will then create an art project related to the culture explored in the exhibit. The art instructor will discuss the origin, meaning, history and modern day relevance of the project with participants and guide them in making connections to their own cultural experiences. Upon completion, participants will receive cultural competency activity sheets provided by our partner, the Multicultural Leadership Institute, which will help them reflect upon and relate the P.L.A.C.E. on the Go! experience to their own lives. Take-home activities will be available so participants can share their experience with siblings and family. The grant will be used to outfit the bus with five iPad, a Mac-pro laptop, video equipment, and one year’s worth of automotive insurance for the bus. 10. Read to Grow will purchase bilingual children’s books for their new statewide Partnerships Initiative. This initiative will create formal alliances with other non-profit specifically serving low-income and at-risk families with young children and add or literacy components to existing services. In meetings to form partnerships, agencies have emphasized the need for bilingual books. Of Read to Grow’s total book inventory—usually 62,000-70,000 at any one time—only 4.5% of the titles are bilingual. Furthermore, those few are earmarked for the Books for Babies program and are not available for the Partnerships Initiative. Because book drives, which supply most of their inventory, do not yield bilingual books, they must purchase all that they have in stock. They will purchase approximately 3,600 bilingual books for children, from birth to 8 years old.